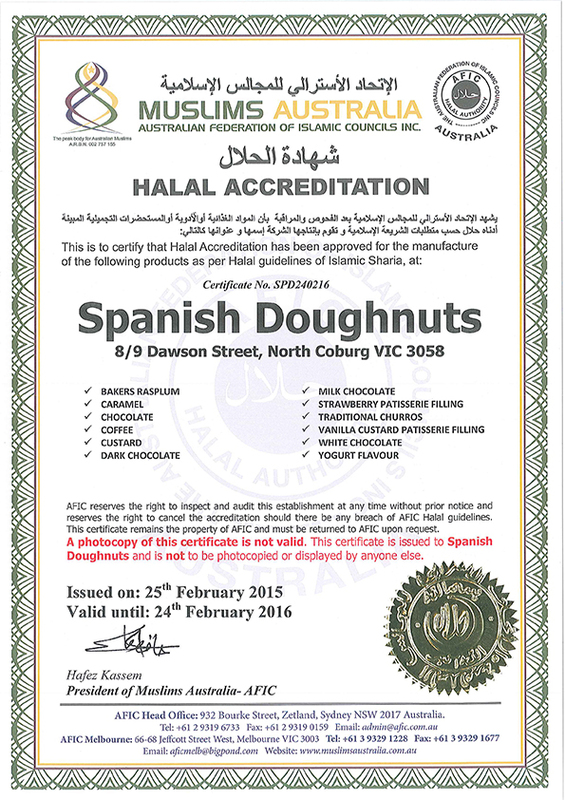 Spanish Doughnuts recognises that there is great variety in the people who enjoy our products. 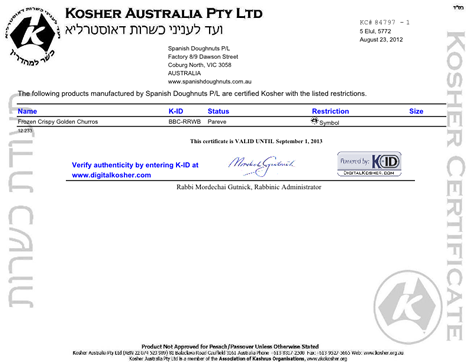 So to make sure that everyone is looked after and that there are no disagreements over our products we go to great efforts to have our products certified. 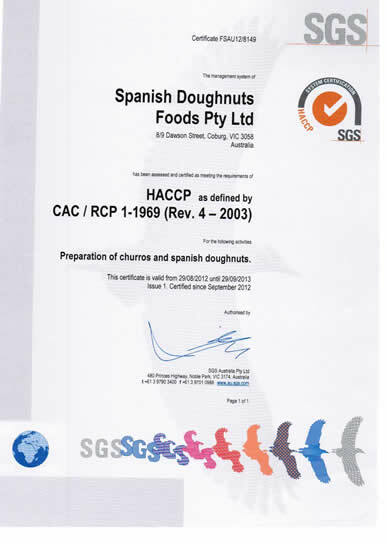 HACCP Certification – Spanish Doughnuts is the first and ONLY churro company in Australia to be HACCP certified.